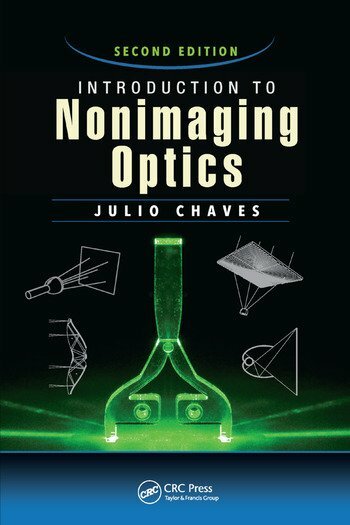 Introduction to Nonimaging Optics, Second Edition invites newcomers to explore the growing field of nonimaging optics, while providing seasoned veterans with an extensive reference book. Julio Chaves completed his undergraduate studies in physics engineering at the Higher Technical Institute, Technical University of Lisbon, Portugal in 1995. He received his Ph.D in physics from the same institute. Dr. Chaves did postgraduate work at the Solar Energy Institute, Technical University of Madrid, Spain in 2002, and in 2003, he joined Light Prescriptions Innovators (LPI), LLC, Altadena, California, USA. In 2006, he moved back to Madrid, Spain, and has been working with LPI since. Dr. Chaves developed the new concepts of stepped flow-line optics and ideal light confinement by caustics (caustics as flow lines). He is the co-inventor of several patents and the coauthor of many papers in the field of nonimaging optics. He also participated in the early development of the simultaneous multiple surface design method in three-dimensional geometry. "… an essential book for those wanting to improve their knowledge of nonimaging optical design theory and techniques. It is extremely comprehensive, well organized, well written, and well edited, with numerous excellent figures and detailed examples." "Outstanding book with many thoroughly worked-out examples that make learning nonimaging optics easy." "… provides a comprehensive coverage of the field of nonimaging optics, describing both basic and advanced concepts and design methods. Explanations are intuitive; it is profusely illustrated and contains many useful examples. … appropriate for those starting in the field, as well as for those already working in nonimaging optics." "The second edition of this book reflects the significant and recent developments in the field of nonimaging optical devices. More than 45 percent of the material in this edition is new, including four new chapters. The amount of material covered by Chaves is enormous, ranging from the Winston-Welford design method to Kohler optics and to luminaries. This book is aimed at optical engineers and designers of all levels; however, it is not meant to serve as an introduction to geometrical optics. Some of the results are given as exercises which will be useful for undergraduate engineering and science students."